There was a murder in Rochester last weekend. Four people have been arrested. The suspects grew up with many of the Project Legacy youth. Some of them were friends at one time, years ago. One of the differences between those who were arrested, now in the adult detention center, and those at our Circle Group last week is that the Project Legacy youth made a decision to create a different life. They found support within Project Legacy. And it has been intensive support. Paving a different path is never easy. Our monitoring report came back from the state last week from a grant that has now ended. The report showed the average cost to the state per each Project Legacy participant was $3,700. This cost is made up of many things, such as food, shelter, clothing, education, intensive mentoring, medical and dental care, substance abuse recovery resources, treatment for domestic violence, accountability and love. The average cost to incarcerate someone in Minnesota in 2015 was $41,366 – more than 11 times the cost of supporting someone in our program. This past month, 18 random drug tests came back negative. A brand new participant tested positive four weeks ago. Last week at Circle, that test was negative. As I was backing out of the parking lot after Circle, I heard a tapping on my window. It was the newest Project Legacy member, the one who now joins 30 other youth in recovery. He was motioning for me to roll down my window, and when I did, he said, "Miss Karen, I just want to tell you that you're a blessing. This group is a blessing and I'm so glad J brought me in here. I never thought I'd be able to give it all up, but I did it!" He said through tears. This is just one of the many stories we encounter week after week – the stories that prove that investment in our youth is worth it, bringing with it life change, transformation and an empowered sense of self. We aren't a national nonprofit. We don't have a national organization for a financial safety net. No major donors, no name recognition, no events that bring in hundreds of thousands of dollars. And while I hope someday that will happen, today, all I know is this work is hard...it's really hard. We've been fortunate to receive a few grants and there are more being written every day, but right now we need your help. It's you who enables more stories like this one to happen every week at Project Legacy. We ask for your continued help for these young people who are making their way out of generational poverty and criminality toward a life of opportunity, possibility, and sobriety. Incarceration or a contributing member of our community? With our kids....That's what it comes down to. 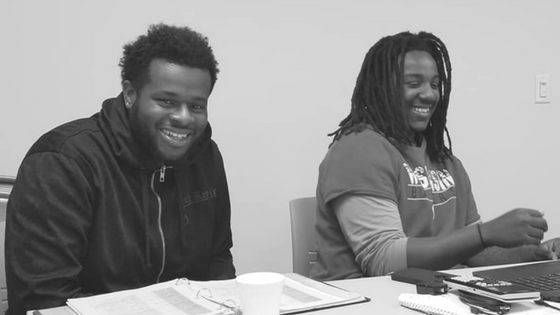 Would you partner with us to create more stories of transformation in the lives of youth in our community? We know it's possible.